Are you looking for a job that pays well, but doesn't require years and years of school? The average diagnostic medical sonographer salary is $73,200 per year, according to the Bureau of Labor Statistics. And check this out, you can qualify for many jobs with just an associate's degree. What's more, there are plenty of opportunities for further education, certification, and advancement for people who want to grow in the field. The work is interesting, and the opportunities are abundant and varied. In fact, experts predict that demand for these skills will only keep growing. So what are you waiting for? If this field sounds even a little bit interesting, you have nothing to lose by learning more. Sonography, or ultrasound, is a noninvasive technology for examining the internal structures of the body. 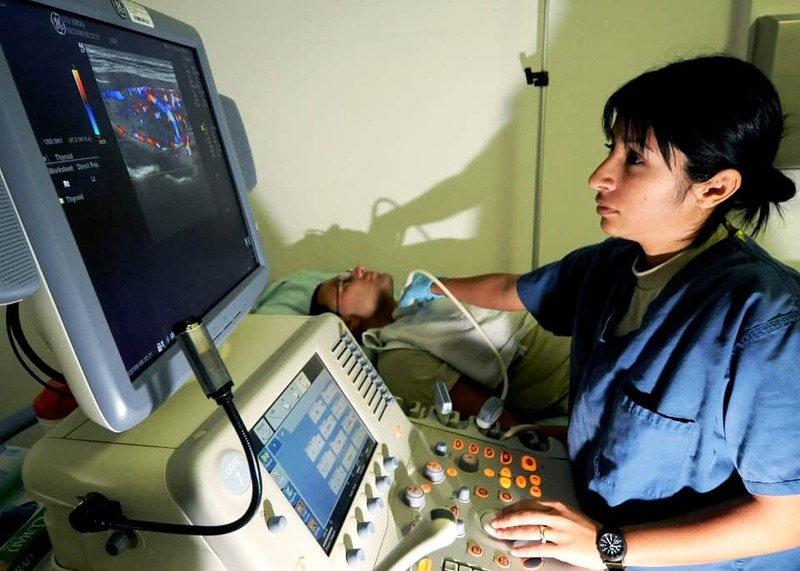 Sonography uses high-frequency ultrasound waves to create images of the organs, tissues, joints, and more. Doctors use ultrasound technology to look at babies growing in the womb. They also use it to check for growths and abnormalities in other parts of the body. A diagnostic medical sonographer, or ultrasound technician, operates the ultrasound machine to create the images that will help the doctor to assess a patient's condition. Many sonographers choose an area of specialization, such as breast sonography, cardiac sonography, or abdominal sonography. Diagnostic medical sonographers work in many different settings, including clinics, doctors' offices, imaging centers, and hospitals. Generally, the work is full time. Ultrasound technicians are in high demand. In fact, the field currently has an unemployment rate of only 1.9 percent. That is half the national average. 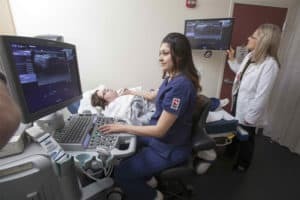 What's more, the median diagnostic medical sonographer salary at the associate's degree level is not that much less than that of a technician holding a bachelor's degree. That means that it's easier and faster to get where you want to be than you might think. Entry-level jobs in this field generally ask for an associate's degree in medical sonography. An associate's degree is a two-year degree that includes both classroom and practical experience in the field. If you pursue an associate's degree, you should ensure that the Commission accredits your program on Accreditation of Allied Health Programs. 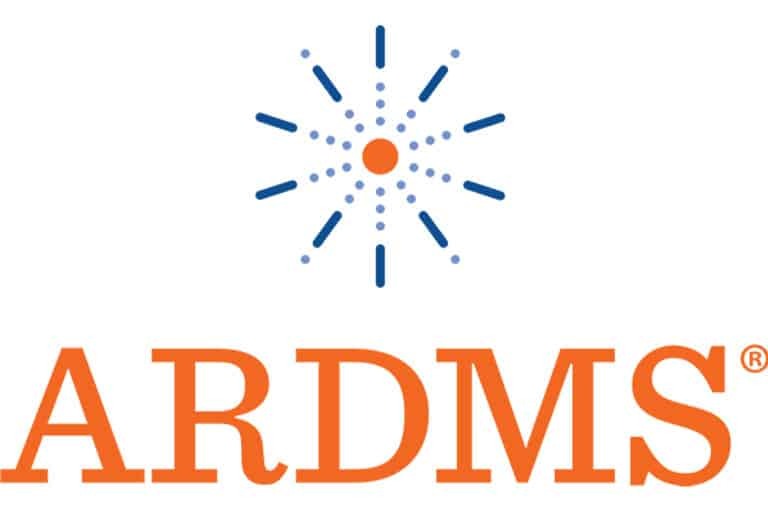 Your program needs to prepare you for the licensing exam from ARDMS, the American Registry for Diagnostic Medical Sonography. 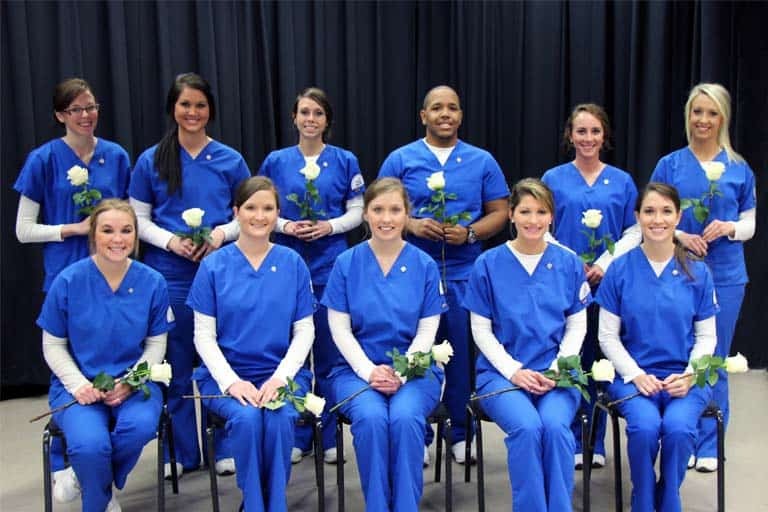 Many junior and community colleges have medical sonographer associate's degrees. You can also find programs online. 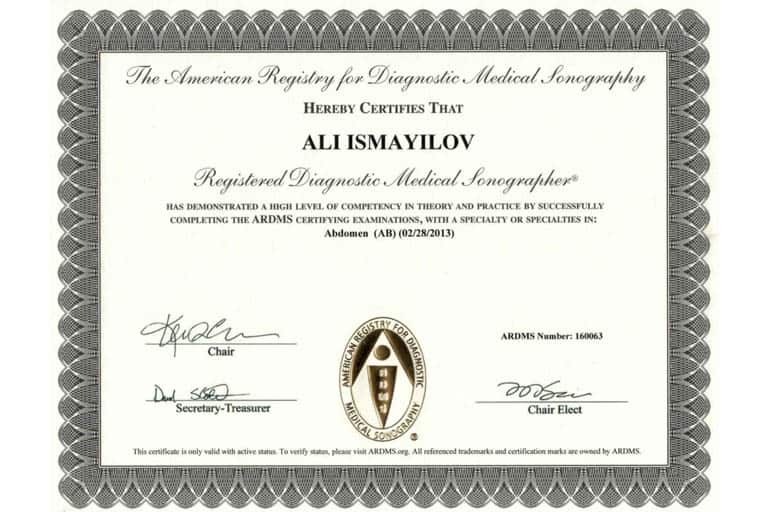 An associate's degree will qualify you to be a diagnostic medical sonographer, that is, an ultrasound technician. The median diagnostic medical sonographer salary for an employee at the associate's degree level is $67,530. Many states do not require either licensing or certification. However, some do. Having third-party verification of your education and skills will give you an advantage over your competition in the job market. Also, if you want to pursue a bachelor's degree in medical sonography, some will require you to have ARDMS certification. You can pursue certification at a number of different levels, and in many different specialties. 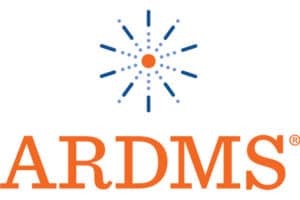 ARDMS offers certification as an RDMS (Registered Diagnostic Medical Sonographer), RDCS (Registered Diagnostic Cardiac Sonographer), RVT (Registered Vascular Technician), and RMSKS (Registered Musculoskeletal Sonographer). Each certification has its own requirements as far as education. Additionally, each requires a separate examination. 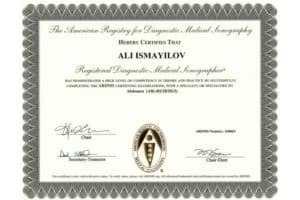 Midwives can also earn a Midwife Sonography Certificate. 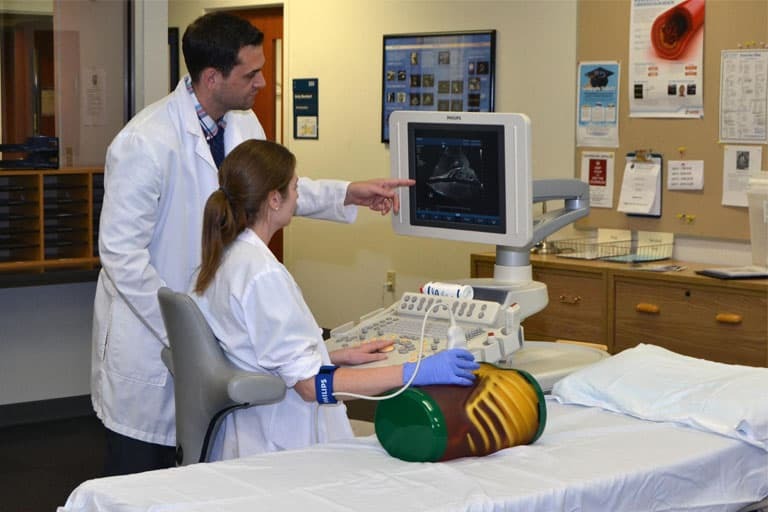 Bachelor's degree programs in medical sonography offer additional training for people who already hold an associate's degree, and who are already certified as Registered Diagnostic Sonographers through ARDMS. 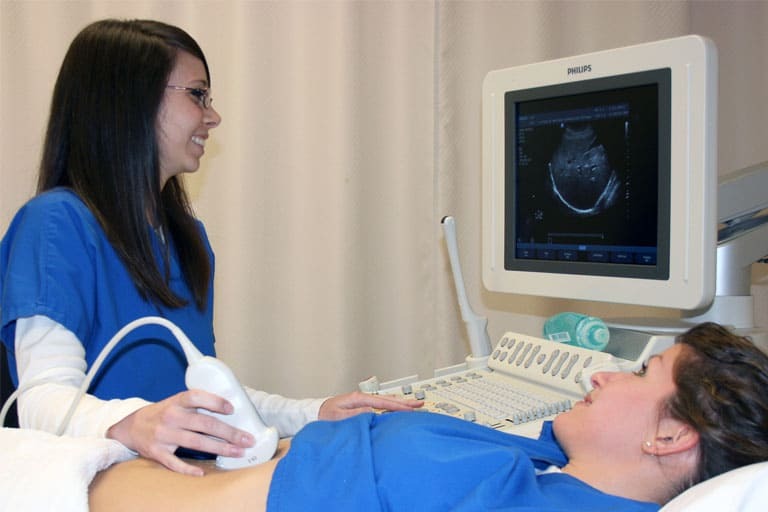 A bachelor's degree in medical sonography will enable you to move up the career ladder in this field. You might become the director of an ultrasound department, a consultant, or an educator in diagnostic medical sonography. The median diagnostic medical sonographer salary at the bachelor's degree level is $68,970. 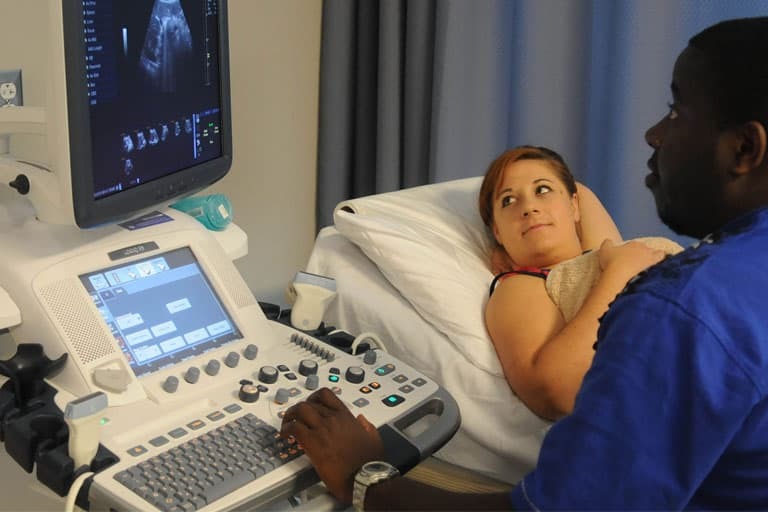 Certificate programs in medical sonography are generally aimed at medical professionals already working in the field. 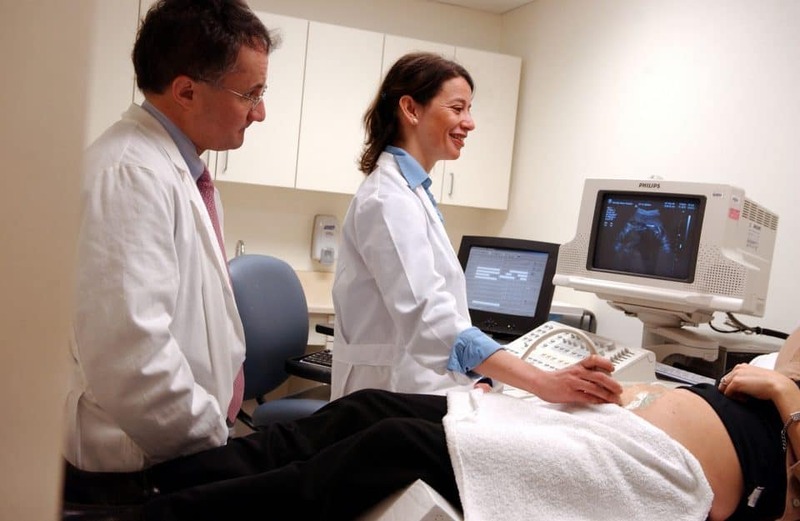 They may offer additional training, or specialized training in different types of sonography. Earning a certificate on top of your associate's or bachelor's degree will increase your qualifications and employability. It may also increase your earning power. According to the Bureau of Labor Statistics, the median diagnostic medical sonographer salary is $71,410 per year. 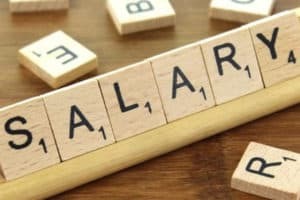 The median wage is the salary that falls precisely in the middle of the salary range. That means that there is an equal number of salaries higher than that, and less than that. The average diagnostic medical sonographer salary is $73,200. Computing the average diagnostic medical sonographer salary means adding up all of the recorded wages from least to greatest, then dividing that sum by the number of salaries in the survey. The Bureau of Labor Statistics, for example, reports that in 2017 the lowest paid 10 percent of ultrasound technicians made around $50,760 per year, while the highest paid 10 percent made more than $99,840 per year. The job outlook is fantastic. The number of jobs for ultrasound technicians is expected to grow by 23 percent by 2026. That's a good deal faster than the growth for other kinds of health professionals, which experts project to be around 14 percent. And when specific skills are in high demand, salaries for people who have those skills go up. 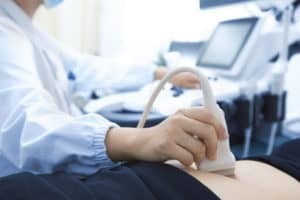 According to U.S. News and World Report, California is the place to be if you want the highest diagnostic medical sonographer salary. 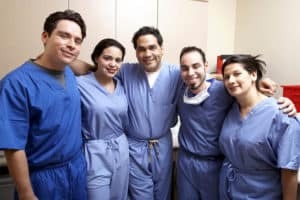 If you're in Vallejo, San Francisco, Oakland, or San Jose, you could be earning between $104,440 and $116,480 as an ultrasound technician. Washington state is another good place to be, with a similar salary. You might also look at Oregon, Washington, D.C., and Colorado for high salaries. Want to check out the diagnostic medical sonographer salary in your area? Try the handy tool in this article. The states with the highest number of ultrasound technician jobs are California, Texas, Florida, New York, and Illinois. Does this exciting, lucrative, and growing career path sound interesting to you? It seems almost too easy to get started. If you want to learn more, here are the steps you need to take. 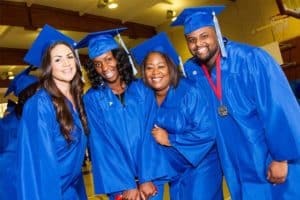 Getting into an associate's degree program is easy. Generally, the only requirement is a high school diploma. You can find associate's degree programs in medical sonography in most places, as well as online. 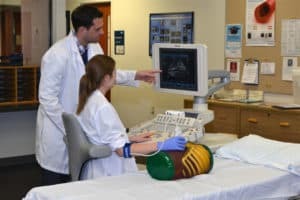 Most associate's degree programs in medical sonography will take two years, and will include both classroom work and practical experience through clinical rotations. 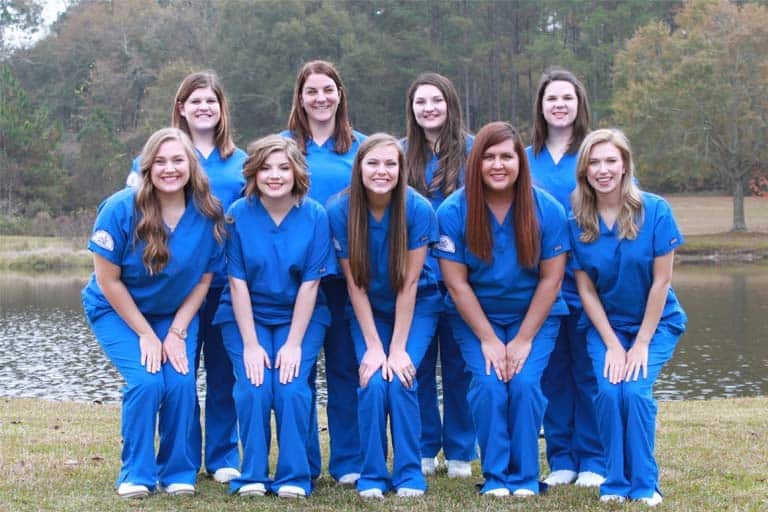 Many programs will also prepare you to work in a specialized field of sonography, such as cardiac or abdominal sonography. 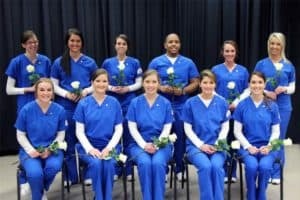 When looking for an associate's degree program, make sure that the one you choose is accredited by the Commission on Accreditation of Allied Health Programs. Accredited programs will prepare you for the ARDMS licensing exams. College Choice has a list of programs that they recommend, based on a number of practical factors. These factors include the percentage of graduates who passed the licensing exams, the attrition (drop-out) rate, and job placement rates after graduation. CAAHEP accredits all of their recommended programs. If you're interested in an online program, check out this additional listing from College Choice. Even if your state doesn't require certification, it's a good thing to have. ARDMS certification tells potential employers that you have the skills and knowledge to do the job right. Not only will certification give you a better chance at the job you want, but it may also get you a higher salary as well. Once you have your associate's degree, pick your credential and prepare for the exam. Do you want to work within a specific specialty? Or do you want a more general credential? Learn what it takes to get the credential you want, then go for it! Once you have your degree and certification, the world will be your oyster. Which setting do you think would be a good fit for you? A large, bustling hospital in a big city? Or perhaps a smaller, more intimate clinic? Maybe you would prefer to work in an imaging center or a care home. Or maybe your calling is to work for an international charity, like Doctors Without Borders. A career as an ultrasound technician is a career that will grow with you, whether growing means gaining new skills and responsibilities, or moving into management. Demand for these skills is high and getting higher. And salaries are increasing with the demand. As a diagnostic medical sonographer, you can work almost anywhere, in a variety of different settings. And there's no telling where you might go from there.